This simple recipe for delicious homemade Easy Meatballs can be flavored any way you like, or just make them plain. There isn't a lot of seasoning in this recipe, for good reason: that way, the meatballs can be used in any recipe. If you prefer a bit more flavor, add some dried herbs: basil, oregano, thyme and/or marjoram are all good choices. In a large bowl combine the egg, water, bread crumbs, onion, salt and pepper and combine. Add the meat (broken into chunks), and mix gently but thoroughly with your hands to combine. Form this mixture into meatballs about 1" in diameter and place on a broiler pan or a pan with sides topped with a wire rack. 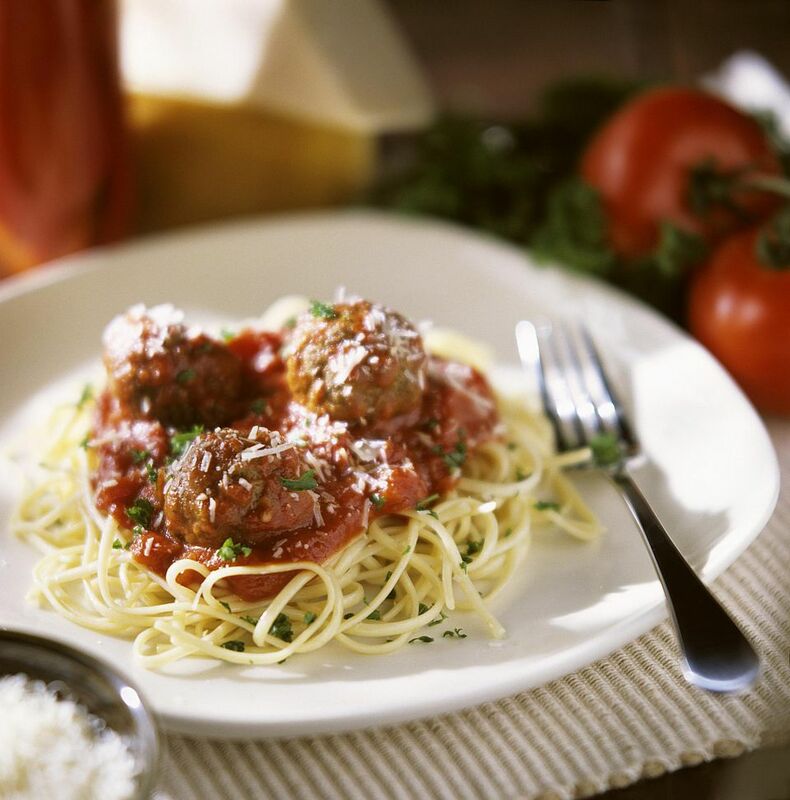 Bake at 350°F for 25-30 minutes until meatballs register 165°F on a meat thermometer. Cool and store in the fridge up to 3 days, use in recipes right away, or freeze as directed above. Suggestion: Serve with pasta and sauce, as pictured! YUM!